Below you can find a zoomable version of the panorama (with watermarks). By clicking the middle symbol at the top you can open a full-page view. 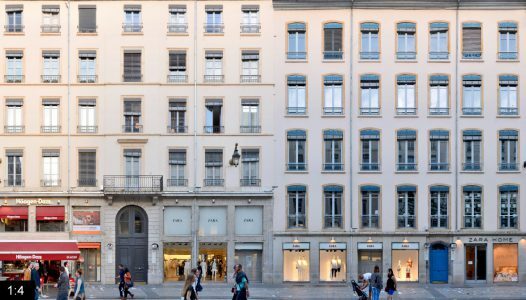 The Rue de la Republique in Lyon was created (then named Rue Impériale) after a major restructuring scheme of the city centre in the 1850s. This is the east front of its southern section between the Place de la République (left) and the Place Bellecour (right). 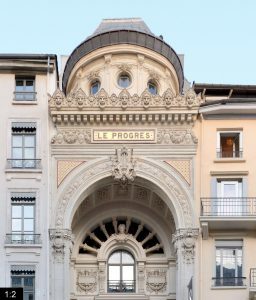 The complete street runs for 1.1 km up to the Hôtel de Ville (City Hall) further north. 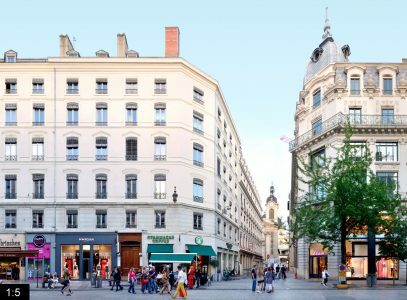 The Rue de la Republique is the most prominent street in Lyon and its main shopping street. 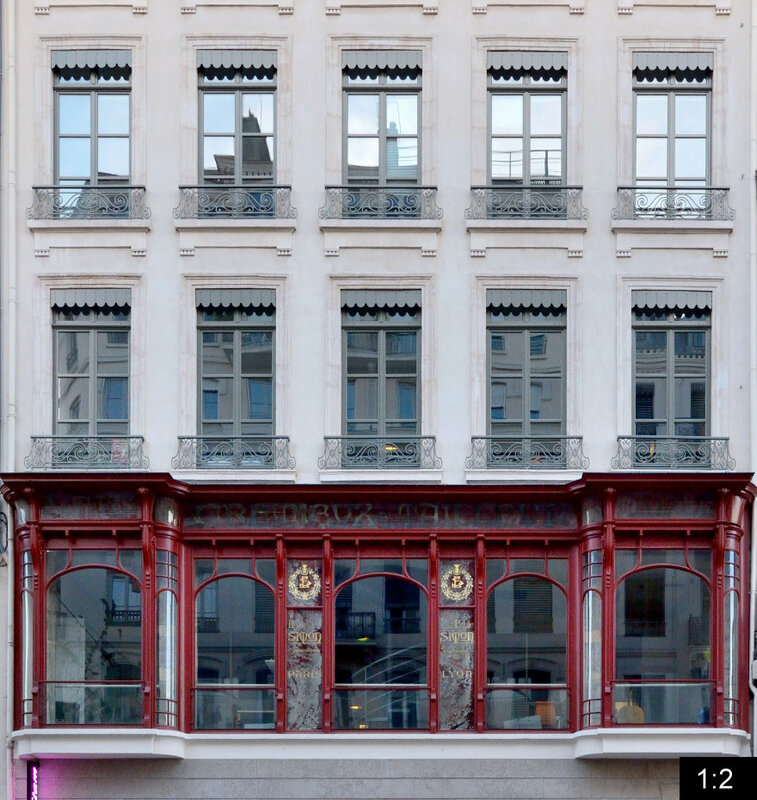 The architecture is mainly Haussmann style from the period of its creation. 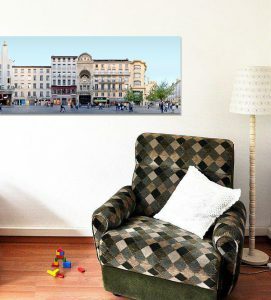 Two notable buildings along this section are the Art Deco style Cinema Pathé (with a golden rooster on top, 1932) by architect Eugène Chirié and the former Le Progrés newspaper headquarters near the right end of the panorama. 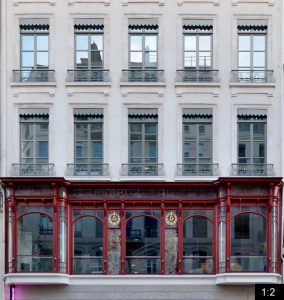 The latter was originally built as a theatre by Émile Étienne Guimet and now houses the FNAC Bellecour shop. 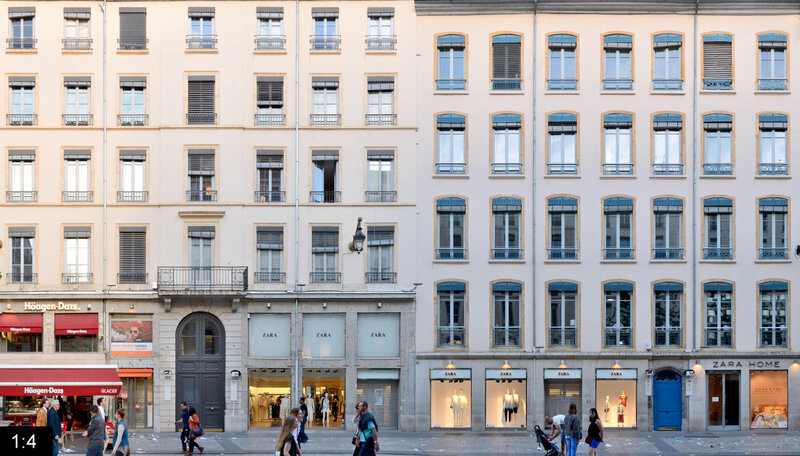 For more previews of streetlines visit our Lyon Architecture overview. 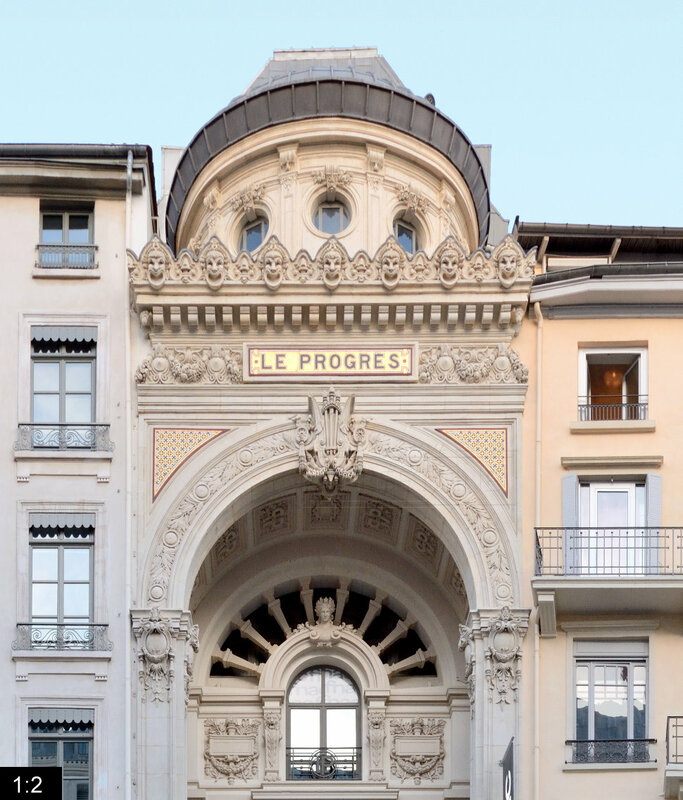 This streetscape of the french Lyon was presented in week 31 of our 101 weeks 101 cities of europe project.